Why is Jif Called Jif? Sometimes it seems like the more we evolve, the less we understand about our dietary needs. While most of us were raised on the USDA Food Pyramid, in 2011 it turned into a plate. The market is constantly flooded with new trends and superfoods packed with more nutrition and health benefits than the last. There’s quinoa, kale, matcha, acai, and much, much more. But what if I told you peanut butter began the same way? In 1867, John Harvey Kellogg, MD, a surgeon and health expert, opened the doors of the Western Health Reform Institute in Battle Creek, Michigan. The equivalent of a modern-day health and wellness resort, it quickly became a popular destination for treating ailments of all kinds. To heal his patients – some of whom included Thomas Edison, Henry Ford and Amelia Earhart – Kellogg relied on medicine, surgery, hydropathy, exercise and vegetarianism. Thus, peanut butter was initially introduced to the upper classes for the same reasons we hear about other superfoods today; it’s plant-based (in fact, it’s a legume, and closer to a pea than a nut), high in protein and easy to eat. But it wasn’t introduced to the masses as a snack food until the 1904 World’s Fair in St. Louis. And it would take another 15-20 years before its shelf life increased dramatically. In the 1920s, hydrogenation industrialized peanut butter by raising the melting point. The process, still used in most nut butters today, stops the peanut oil and solids from separating. From there, Peter Pan (the company, not the character) and Joseph Rosefield, who engineered Skippy, led the peanut butter boom. A hero to many, Rosefield is known for inventing a partial-hydrogenation process, a churning method, crunchy variations, and wide-mouth jars. 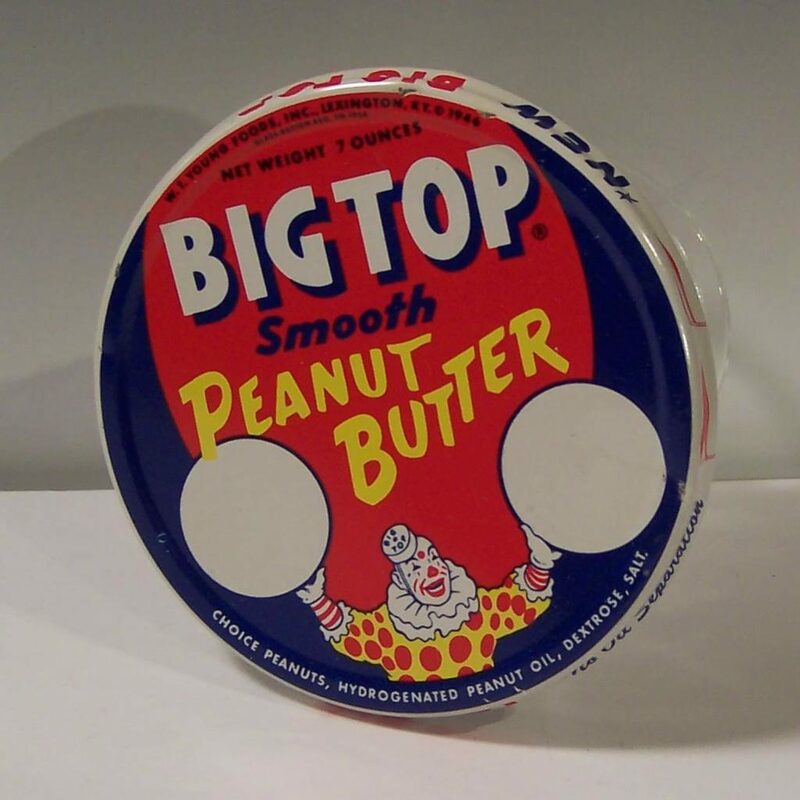 And the same year (1955) he sold Skippy to Best Foods for six million dollars, Procter & Gamble acquired William T. Young’s Big Top Peanut Butter. Why is it Called Jif? Perhaps P&G knew that if they wanted to compete with Skippy, they also needed a short and catchy brand name. A rebrand of Big Top resulted in Jif– a name that was easy to say, spell and remember. 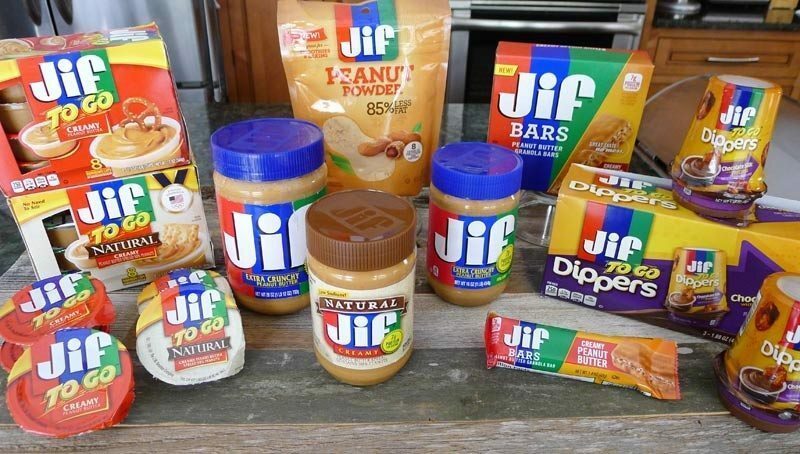 If you’re the type to speculate, however, consider this: when Jif debuted, its biggest competitor was Skippy. Skippy could refer to someone who skips, or moves in a hurry. And anyone doing something quickly might say, “in a jiffy!” or even “in a jif!” It’s not unreasonable to imagine that P&G explored synonyms for Skippy and landed on the one that was shorter but just as fun. Interesting, eh? Whatever the logic, P&G introduced Jif in 1958 using non-peanut oils, added sugar and molasses. But the recipe wasn’t the only thing they reinvented. With the help of Grey Advertising, they debuted the famous slogan “Choosy mothers choose Jif.” The brand quickly became the most popular peanut butter in the U.S., and it’s remained there ever since. Smuckers bought Jif in 2001, and has since introduced several different varieties, including Natural Honey, Whipped Chocolate, Cinnamon and Maple. Nuts, right?